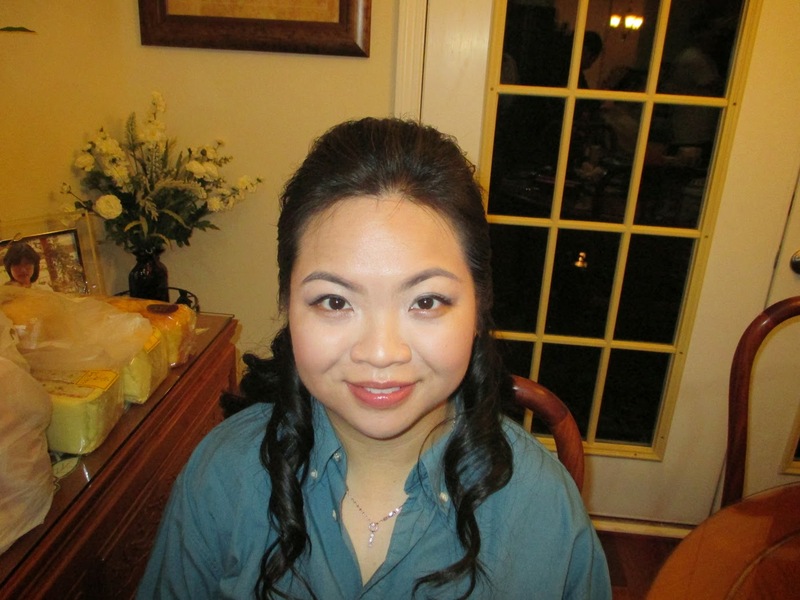 I wanted to share another wedding makeover. 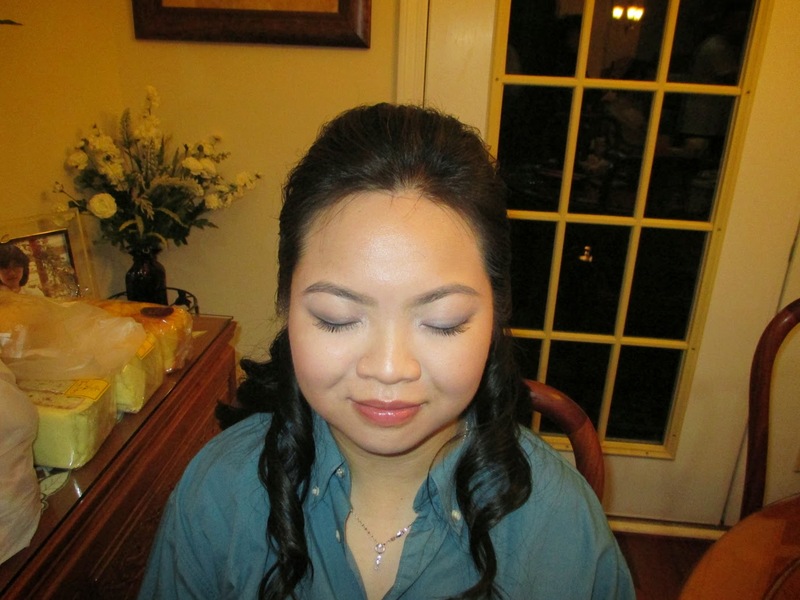 I did the makeup for the Maid of Honor and she was a super natural girl. This is what I call - the "no makeup" makeup look that is still enough to look great in pictures and a little something extra in person. First, I used a light to medium coverage foundation - MUFE HD. A lighter shade in the middle and darker shade on the outside for subtle contouring. I lightly shaded in the brows with eyeshadow. On her eyes, I applied a thin line of gel liner and lightly smoked it out with a charcoal shimmer shadow that complimented her navy blue dress. She let me apply lashes but I had cut them in half and applied only the outer half for a bit of emphasis. To me, lashes can totally add that special something without having to apply a whole bunch of shadow. A neat trick to dress up the face naturally is to highlight. I applied shimmer to her browbones, tear ducts, bridge of nose, cheekbones and cupid's bow in order to light up her face. On her lips, I did what we call "My Lips But Better", picking a similar lipstick that was close to her natural lip shade and adding a bit of gloss for shine and comfort. I hope you all enjoyed this natural look. I wish I had gotten the before shot, darn! Till next time, Ciao Bellas!